Opening Reception: May 19, 2019, 2:00 to 5:00 p.m. 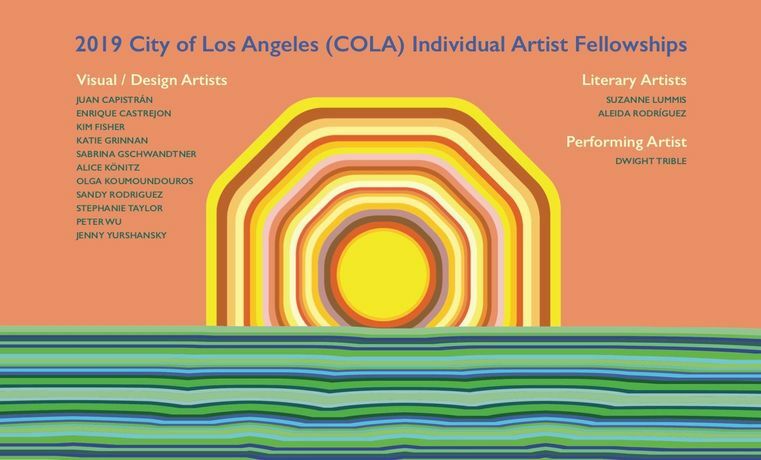 The City of Los Angeles Department of Cultural Affairs (DCA) presents the 2019 City of Los Angeles (COLA) Individual Artist Fellowships Visual Arts Exhibition honoring the city’s creative spirit. Awarded annually to Los Angeles artists by DCA, the COLA Individual Artist Fellowships support the creation of new works by a selection of the city’s most exemplary mid-career artists with grants of $10,000 each. 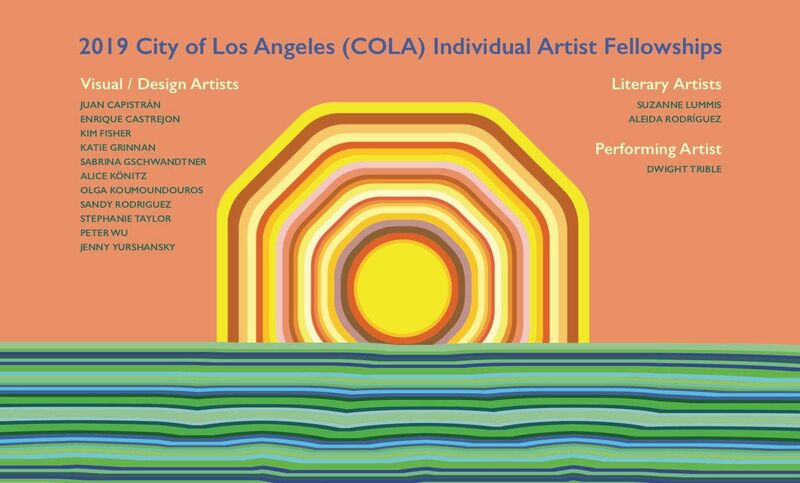 The COLA exhibition honors the synergetic relationship between LA, its artists, its history, and its identity as an international arts capital.The exhibition will take place from May 23 to July 14, 2019 with an opening reception on May 19 from 2:00 to 5:00 p.m. at DCA’s Los Angeles Municipal Art Gallery (LAMAG) located at 4800 Hollywood Boulevard in Barnsdall Park. To celebrate the opening, at 3:00 p.m. there will be a special performance of 5 Seconds of Dreaming by 2019 COLA Fellow Katie Grinnan, played by musicians Kozue Matsumoto and Eugene Moon. Admission is free and gallery hours are Thursday to Sunday from 11:00 a.m. to 4:00 p.m. For more information, please visit culturela.org and lamag.org.